of course your can use 36mg. have you played around with the calc yet? Added 3 more flavoring lines. Now 10 flavor lines. Changed the shortcut key for Nic Combine tool. Anyway we can remove the "Save at exit"? That was a feature I added that many users have requested. Thanks for the update, Breaktru. I installed it earlier today and just went to edit a recipe a few minutes ago. When I tried to save it, I got an exception error. I am now feeling exceptional. System.UnauthorizedAccessException: Access to the path 'C:\Program Files (x86)\Breaktru Software\eJuice Me Up\Absinth - TFA.rec2' is denied. rather than be handled by this dialog box." check the box "Run this program as an Administrator". I can't believe I didn't try that. So, it worked for you after Run As Administrator? 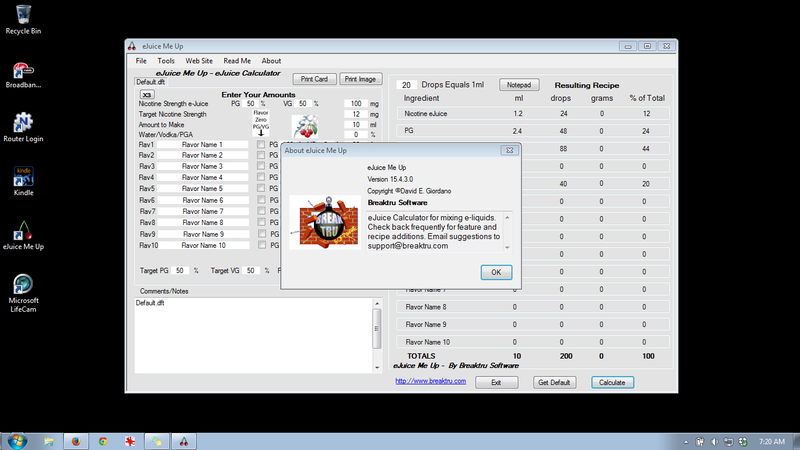 Daves' juicemeup calc is Bitchin I'm on V14 and can make great juice with it. When's V15 coming out is my only question atp? Sorry, Breaktru. Yes, it did work. Thank you very much. This version should allow saving files without having to "Run As Administrator"
Version 14.7 has been released. As requested, a "Cancel" option on exit was added. Thanks for the addition of the cancel button, Breaktru. It has already been handy and I have only just installed 14.7. Added grams weight measuring. Go to the menu "Tools", "Grams Set" and enter your weights. Measure out 1 ml of each liquid and weight each one then enter weight in the appropriate Gram box. Btw, do you have an app for the iphone? As per request I added a "TOTALS" line at the bottom of the results. First post here, so let me first thank Breaktru for this great app. I've just started mixing and I think eJuice Me Up is really useful. Here in the USA we use a dot "." as a decimal symbol. Using a comma "," will give wrong calculations. I need to find a solution for multi country settings which are determined by your computers "Region" setting. Okay, I think I have it ironed out for users using a comma rather than a dot for a decimal separator in version 15.3 just released. 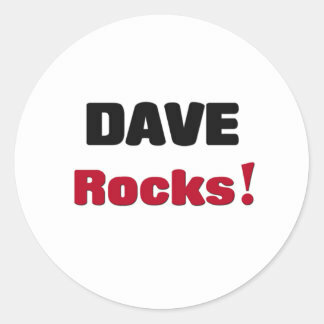 Thanks for the update Dave, but somehow things got worse in 15.3. If you look at the screenshot below, you can see that the weight column display high values. I tried changing the grams setting to use commas for decimals, but they somehow get converted to using a dot for decimals as soon as I confirm the settings. My guess is that it somehow still uses a dot for calculations. Also, the row totals do not add up. Can you take a look at this? Thanks in advance! Is there any data stored in the recipes that can cause this? Or in the default template? Should I do a clean install and recreate the recipes? Looks like the regional PC settings with a comma rather than a dot for decimal places are not working. Although I tried my best to counter that, it seems that my conversion code doesn't work. Sorry Marco, back to the drawing board. I just may have found a solution. Hi Breaktru, and all, just getting back in the DIY game, tried it about 5 years ago with less than seller results, ( lots of candy flavoring in a box somewhere). Actually out of the loop completely as to the E-Cig world. So my question, when I make a recipe is it easy to attach a note to it, that's right there as a sticky note icon, for recording steeping times, taste description Etc? Thanks much for your hard work.... After the next cc bill hits I will make every effort to hit your Pay Pal button..
Hey Rug Guy, Welcome to the forum. The Video is old so it doesn't show the note area that is now displayed on the opened form window. You can make notations for each recipe. Thanks for the wicked fast reply, and that's awesome that it has the note feature! And yea I tend to go a little crazy when I get into a new hobby, drives my wife crazy, she did like the wood fired pizza oven jag I went on a few years ago... Thanks again for all you do.. I'm having a similar problem. I've have done as you suggested with the Administrator permission and on occasion I still get the error message. What am I doing wrong? Help me Obi Wan Breaktru! Different cause of error. This error is generated when the gram weights are missing when creating new recipes. With the version you have now, when you receive the error, click Continue and then……..
Go to “Tools”, “Gram Set” and click “OK”. 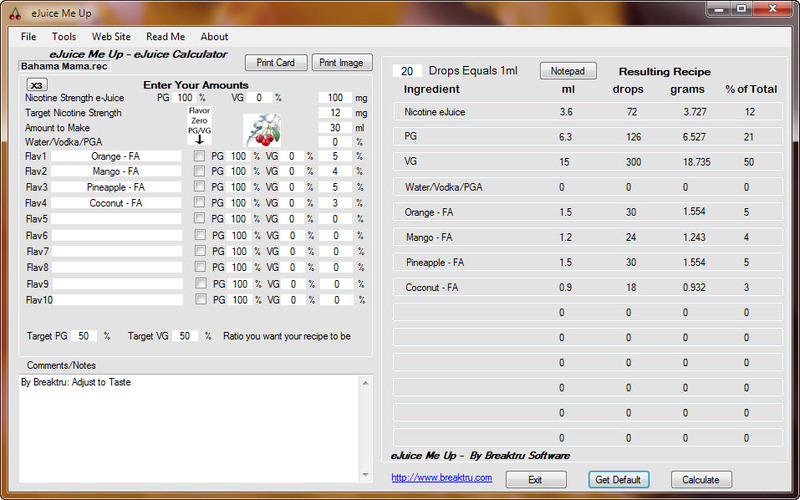 Weigh out a ml of each liquid and add the gram weight by going to the menu item "Tools", "Gram Set". 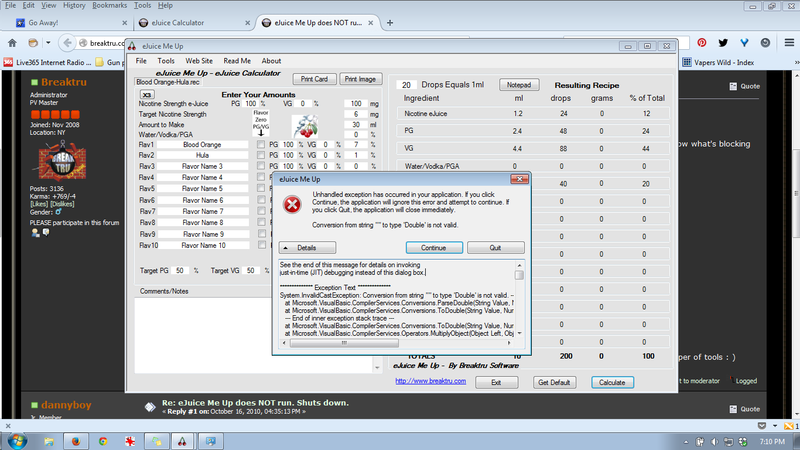 If you do this for your "Default" then when you create recipes that data will be intact and you will not get an error. Version 15.5.4 should fix any errors. Version 15.4.2.0 should have fixed the missing gram weights for new recipes. Thank You Sir. That takes care of it. Ah! Thanks for this. Was just scratching my head over the same problem (Conversion from string "" to type 'Double' is not valid). Clicking continue and ignoring it worked, but of course, didn't make it go away. I have latest version installed but encountered the error message when editing existing recipes that came with the program, saving the edit, and then reopening them. Doing the above fix and re-saving it sorted it out. Will try to remember to do the Tools/Gram_Set/OK when editing recipes that came with program. 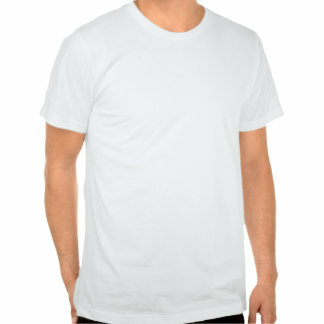 Thanks for such a great utility! More recipes have been added. I am about to start making my own juice and have downloaded the calculator as reviews state it is the best. I have had a look at it but have a question. The kit I have bought has PG and AG (with 20% water). How and where do I input the AG in the calculator? Do I put 20% in the 4th (Water/Vodka/PGA) line. The rest seems fairly straightforward. Hi Ed and welcome to the forum. AG (Aqueous Glycerine) is diluted VG (Vegetable Glycerine). The dilution is distilled water. Where the calculate calls for VG, I would substitute the VG for AG. Is there an area where feature requests can be made? I've wished for a long, LONG time now that the program would allow for a filename(s) to be appended in a command line.. So I can use my file manager, Directory Opus, to allow double-clicking on a recipe file and have it start up EjMeUp with that recipe loaded. Basically, to allow for scripting on a 'command line'. ... And also it would be nice if the version number would be shown on the main page, without having to click on the changelog. I thought it used to show that..?? Thanks such an AMAZING program!! I hope to be able to donate at some point, when I have some income. Hey Hoggy. Welcome to the forum. You can email me about feature requests. I get a ton a week. Sorry but at this time, the only way to access a recipe is through the software. Version number will be added to the main form in a future update. Thanks for your input.